Google Adwords Training in Chandigarh – Problab Technologies provides PPC training for running online advertising campaigns on Google Adwords, Yahoo and Bing using AdCenter, facebook, twitter and linkedin. Our Professional Google Adwords Course in Chandigarh will take you from creation to implementation and from monitoring to management of successful advertising campaigns & our certified AdWords Trainers will be with you till the very end to help you learn & understand these platforms. Promotional codes and policies around them. Automated Rules for Ad Groups and Keywords. Digital marketing sector has suddenly become quite popular in the web world. To define digital marketing in simple terms, it is the promotion of brands and products with the help of electronic media. The major difference between digital marketing and traditional marketing strategies is that digital marketing will help you analyze and understand your market campaigns in real time. 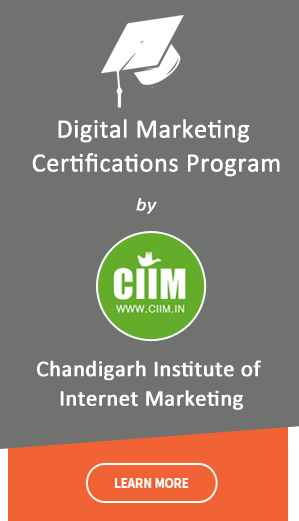 Why Choose Us for Adwords Training in Chandigarh?